You are viewing courses for Iowa. Select a Different State. National Academy of Continuing Legal Education offers CLE courses accredited in many states throughout the country. While we do not directly accredit our courses in Iowa, our courses qualify for Iowa credit approval pursuant to the rules of the Iowa Commission on Continuing Legal Education. IA attorneys must self-apply for course approval of NACLE courses. Iowa attorneys must take 15 credits per CLE cycle including 3 credits of Ethics. IA attorneys may earn up to 6 CLE credit hours from National Academy of Continuing Legal Education, including 3 credit hours of Ethics. Attorneys may complete CLE credits with us using our Online & iOS/Android App formats. Credits taken with unmoderated activities in excess of 6 hours may not be carried forward from one cycle to the next. State and local tax issues are a hot topic for captive insurance companies as these taxes are widely misunderstood and a new area of increased interest from state departments of insurance to generate revenue. Captive insurance professionals need to understand the basics of income and franchise taxes, sales and use taxes, and how those principals apply to various captive insurance taxes. This CLE course demonstrates that SALT is largely a function of constitutional law and the skilled practitioner needs to stay abreast of the legal and regulatory regime. 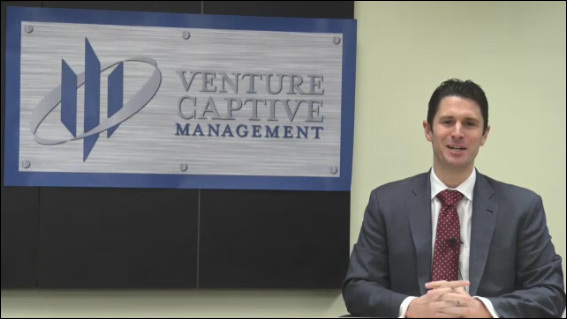 Matthew Queen serves as General Counsel for Venture Captive Management, LLC and is a regular speaker at domestic and international captive insurance and alternative risk financing conferences. He consults with middle market CEOs and business owners regarding taxation, risk financing, insurance defense litigation, and international business transactions. His practice focuses on corporate regulatory and transactional matters for a variety of captive insurance companies and risk retention groups. In addition to this treatise, Matthew authored several technical articles exploring applications of captive insurance to emerging markets and navigating captive insurance companies through changes to the tax code. A band nerd at heart, Matthew graduated from the Georgia Institute of Technology with a Bachelor of Science in Business Management and then completed his Juris Doctorate and Masters of Taxation at Georgia State University. He is happily married and enjoys rowing in the Atlanta Row Club as well as hiking though the Georgia mountains. National Academy of Continuing Legal Education is a provider of accredited CLE courses throughout the country. To view our accreditation details for Iowa, please click here.